I have gotten many nice notes about how much people like our Mystery Book Monthly Recommendations lists. And, since I have been trying to update all of the holiday mystery book lists on the site, I started thinking that maybe it was time for us to make up a list of Halloween mystery book recommendations. 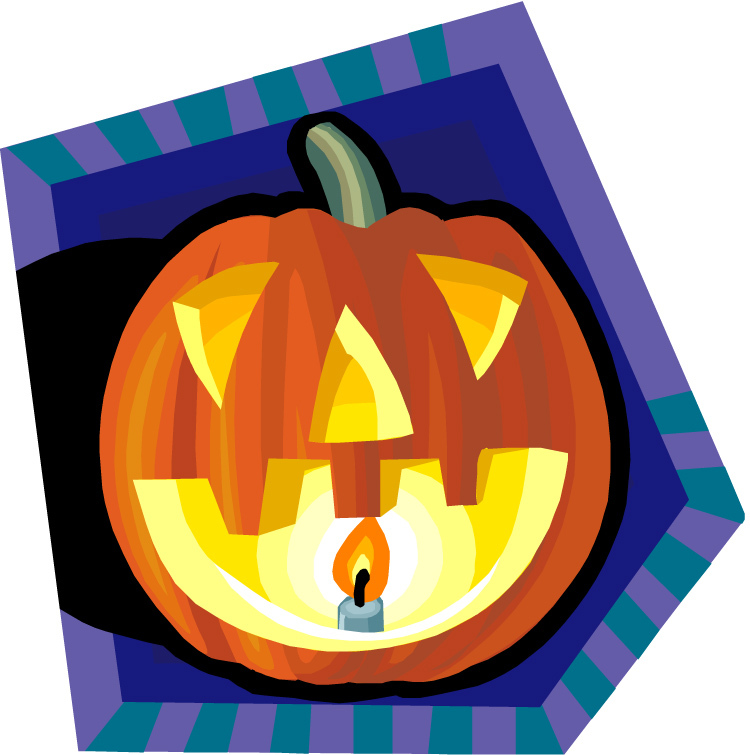 Here is the link to my Halloween Mystery Book List page. Of all of these Halloween mysteries, are there any that you think definitely stand out as being mystery books the rest of us should be aware of? These should be Halloween mysteries that we think others should definitely know about, so they can read and enjoy them the same way we did. Also, if you wouldn’t mind letting me know about any Halloween mysteries that I don’t have on the list, that would be greatly appreciated. P.S. If you would like to take a look at all of the different holiday mystery book lists that I have, here is the link: Holiday Mystery Book Lists. You can click on each individual holiday to see all of the mystery books that I am aware of. I’ll start out with one of my favorite Halloween Mysteries. I actually skipped the first book in the series so that I could read this book during a Halloween season, and I enjoyed it so much that I went back and read the preceding book right after I finished this one. Death of a Trickster is the second in Kate Borden’s Peggy Jean Turner Mystery Series. It takes place in New England, so you get the crisp, autumnal setting. Another reason I enjoyed it (besides liking Borden’s writing style) is that it features Halloween (almost) as a character. (There are many references to Halloween.) I liked all of the characters, the setting, the writing style, and the mystery. If you know of any Halloween theme mysteries that you think should definitely be on this Halloween mysteries recommendations list, please post a comment. While going through the list I was surprised how many weren’t available on kindle. (have I become so dependent on technology – shocking! I should be shocked at how many there are) Anyway, do you know how Amazon decides which books are kindleized? I’m the same way, Cyn. If it hasn’t been Kindleized, I’m not interested. I know that’s a terrible thing to say, but I haven’t bought a “real book” since I became addicted to my Kindle. I have no idea how Amazon decides which books to Kindleize- I’m guessing the demand and popularity of the author are key ingredients in the decision. Also, I have found several mystery books that have been converted to Kindle format by groups of the authors’ fans. Most of those authors are from many years ago, not authors who still have copyright protection. I don’t think I have read any Halloween mysteries yet – but the list sure does have a number that look interesting! I’ve always enjoyed Murder She Wrote, and maybe a Halloween in New England (Trick or Treachery) care of “Jessica Fletcher” and Donald Bain would be a good place to start. Danna, you recommended the “oh so very short” Kate Borden series to me. I found all three on-line (used) and read them in order so quickly. They really are different from most of the cozies I read. I can only describe it as a mystery with in a mystery. The murder mystery and the mystery surrounding some characters. They are such “sadly” short books and only three in the series 🙁 What did we see that the publisher didn’t see not to continue this interesting series. I really wanted to see what she did with Max. Margaret, as you can probably tell, I absolutely loved these holiday mysteries by Kate Borden. I think Borden does a good job in making the village seem alive. I just finished Bewitched, Bothered and Biscotti by Bailey Cates which is set around Halloween. Moonlight, would you recommend this mystery as a Halloween pick? The climax of the story comes at Halloween. It’s about a relatively harmless coven of witches and it has a witch hunter in the mix. So it’s seasonally appropriate. You might find other books that more heavily emphasize the season but I liked it. Thanks, Moonlight, I just added Bailey’s Cates’ Halloween mystery to the list. I have an overall comment that I’ve been meaning to send for awhile…I just want to thank you so much for all the time and effort you put into the Cozy Mystery List site!!! I can’t express how much I appreciate it and how many now favorite books I discovered because you took the time to share them!!! My exact thoughts also. Thank you. Thank you, Arlie, for the extremely kind words about the Cozy Mystery site. I am so glad you have been able to find some new authors/books to read. Definitely reccomend Kate Borden’s “Death of a Trickster”. Not particularly spooky, or scary, IIRC, just a nice solid cozy with a murderer who uses the holiday to dress up their crimes. It’s been a few years since I read Death of a Trickster, also. But IIRC, I think you’re right! I just want to say…you are Amazing! I can’t tell you how much I appreciate all that you do to keep your fellow cozy lovers informed of all things cozy. I contantly refer to your site for ideas and look forward to your up-dates. Thank You, Thank You, THANK YOU! Thank you, Meri, for the very kind words about the site. I hope you are enjoying some of the Halloween mysteries! A Sparrow Falls Trick or Treat is on kindle and nook. Of course I like to read the Agatha Christie book this time of year (you’ve already posted it! ), and I also like Ray Bradbury’s The Halloween Tree. Not a mystery, but he’s a favorite writer and it’s a book I vividly remember from my childhood. I’ll go add your A Sparrow Falls Trick or Treat story to the Halloween list, as well as Ray Bradbury’s The Halloween Tree. Thanks, Donna! I’m glad you recommended this Halloween mystery, Sheila. Thanks! Krista Davis’ domestic diva series rocks! Definitely one of my favs. Loved Death of a Trickster and ALL the Kate Borden books. So wish there were more. Also Halloween themes – by Leslie Meier, The Trick or Treat Murder and The Wicked Witch Murder. The latter is available on Kindle. Another by my beloved, no longer published author (sniff, sniff), Valerie Wolzien’s All Hallow’s Evil. All are great cozies. Annelise Ryan’s Scared Stiff takes place during the Halloween season. Scared Stiff is part of her Mattie Winston series, which was recently mentioned during the discussion regarding mysteries set in Wisconsin. Thanks, again, Readingprincess. I just added Annelise Ryan’s Scared Stiff to the Halloween mystery book recommendations list. Laura Childs’ Cackleberry Club “Bedeviled Eggs”. How did I forget this one when I mentioned Krista Davis series above! Thanks, Sheila, I just added Laura Childs’ Bedeviled Eggs to the stand-out Halloween mysteries list. Gods of The Nowhere: A Novel of Halloween by James Tipper just came out and I finished it yesterday. Really liked it, and by far the most “Halloweeny” book I’ve ever read. Nice mystery aspect paired with adventure and some creepy parts. Perfect read for now. P.S. P.S. I got the kindle version and the use of fonts is groundbreaking. Really ads to the immersive experience! Thanks, Toni, I’ll add Kaitlyn Dunnett’s Vampires, Bones, and Treacle Scones to the recommended Halloween mysteries list. Oh, I almost forgot, even though I have not read it yet, BB Haywood’s Town in a Pumpkin Bash is halloween themed. Thank you, Ross, for telling us about Kathi Daley’s Pumpkins in Paradise. (I just added both of her Halloween mysteries and her Thanksgiving mystery to the Halloween Mysteries and the Thanksgiving Mysteries pages. I’m about one third of the way through “Halloween Hijinks” by Kathi Daley and it is very cute and a fun read. I got it from Amazon for $2.99. There are two more available and I will be purchasing these. It’s got great characters, wonderful animals and a mystery to boot. Janet Bolin’s ‘Night of the Living Thread’ is set at Halloween. The series overall is a craft theme, (And I will mention it there if no-one else has) but this one goes here as well, I think. It’s not a paranormal, even though it does include (faux) zombies! Lol! Joan J, I should probably ask for the different holiday recommendations every year, that way we would have an up-to-date list. I’ll go add Kylie Logan’s The Legend of Sleepy Harlow to this Halloween list. ‘The Skeleton Haunts A House’ the 3rd in Leigh Perry’s ‘Family Skeleton’ series. I just came across mention of this, and it sounds like a lot of fun! A real, living, family skeleton, who solves mysteries!?! This one is Halloween themed, hence I’m mentioning it here. I was so happy to read that you enjoyed Kate Borden’s Peggy Jean Turner series…I loved them! Unfortunately, I can’t find more books in this series. Do you know why the it ended so abruptly? JoAnn, I’m really not sure why this series wasn’t continued – though I think that Kate Grilley (Kate Borden is a pen name) is in her 70s now >>> so she might be relaxing and enjoying retirement. That is just a guess though! I think you might be right…good for her, but not for us lol. Luckily, there are so many great cozy-mystery authors for us to enjoy! I hope you will include my first Ellie Kent mystery, Under an English Heaven, in the Halloween book list. It is set in the Cotswolds between 30 October and 12 November, so the story takes in Halloween, Guy Fawkes Day (Bonfire Night) and Remembrance Day. Alice, thank you for telling me about your Cotswolds’ Halloween Cozy (Under an English Heaven). I just added it to my list. Oops! Just noticed that I’m on the wrong page, and it”s already on the list! Oh, well, Ms Andrews is always worth recommending! Any time of year! I highly recommend “Dark Harvest” by Norman Partridge: NOT cozy and not a classic whodunnit mystery, but saturated with Halloween atmosphere. It is a grim, fast-paced accounting of one 1960’s small-town Halloween traditions. The mysterious events are laid out by a narrator in a stream-of-consciousness style, which worked really well to keep me turning pages for the next gruesome revelation. I love the work you do here – so many great reads!!! Thanks for the recommendation Sonja! Don’t forget Isis Crawford’s A Catered Halloween and Shelley Freydont’s Trick or Deceit, both very enjoyable. JoAnn, thanks for the suggestions! I’ve added them to this list.